In 2011, after several years of trying to start a family, Rick and Cheryl Cardarelli, of Stow, became pregnant with their first son, Dominic. On Nov. 11, 2011, following a normal pregnancy, the Cardarellis’ “lives stopped” when Dominic was stillborn at 36 weeks. In the face of such an unexpected, devastating loss, Rick and Cheryl decided to turn their grief into something positive for the patients at Akron Children’s Hospital. The Cardarellis added their own change to the salon’s collection in Dominic’s name. In addition, the Cardarelli’s family and friends also donated money. With the help of the Cardarellis, Gavin Scott donated more than $3,000 during radiothon in Dominic’s memory. Additionally, the Cardarellis decided to use the gift cards they received from Cheryl’s baby shower to purchase toys for Akron Children’s. And the Cardarelli’s generosity didn’t stop there. 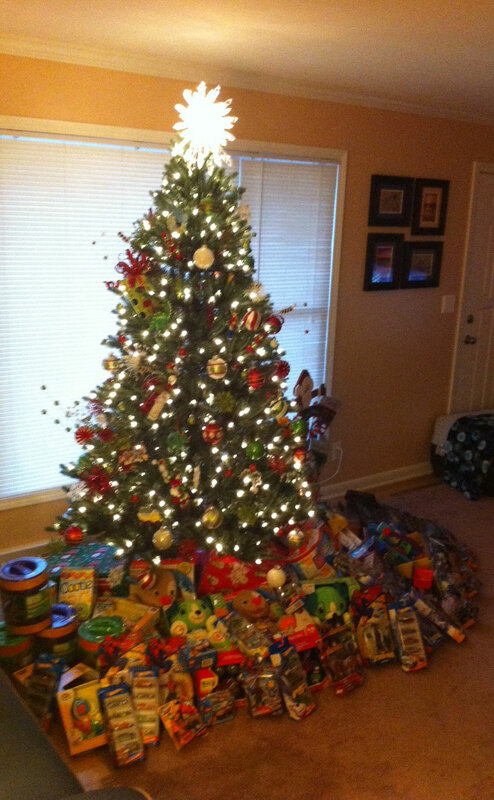 In 2012, the Cardarellis spent more than $1,500 on toys for the hospital. Giving has turned into a family affair, and both Rick and Cheryl’s parents have donated toys to the hospital on Dominic’s birthday and Christmas. “I guess it is just a very small way for us to keep his memory alive,” said Rick. This year, there will be someone else giving back to Akron Children’s: Rick and Cheryl’s infant son, Andrew, who was born in December 2012. This is amazing!!! I am so happy for your family. Thank you for setting the example for how to Pay it Forward no matter what.